édité le 06/10/2014 - Plus de news de "CHEVRON" - Voir la fiche entreprise de "CHEVRON"
Chevron Corporation announced that its indirect, wholly-owned subsidiary, Chevron Canada Limited, has reached agreement to sell a 30 percent interest in its Duvernay shale play to Kuwait Foreign Petroleum Exploration Company's wholly-owned subsidiary, KUFPEC Canada Inc., for $1.5 billion. The total purchase price includes cash paid at closing as well as a carry of a portion of Chevron Canada's share of the joint venture's future capital costs. The Duvernay is located in west-central Alberta, and is believed to be among the most promising shale opportunities in North America. The agreement creates a partnership for appraisal and development of liquids-rich shale resources in approximately 330,000 net acres in the Kaybob area of the Duvernay. "This sale demonstrates our focus on strategically managing our portfolio to maximize the value of our global upstream businesses and is consistent with our partnership strategy," said Jay Johnson, senior vice president, Upstream, Chevron Corporation. "The transaction provides us an expanded relationship with a valued partner. It also recognizes the outstanding asset base we have assembled." 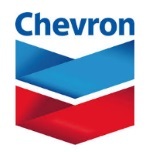 Following the closing of the transaction, Chevron Canada will hold a 70 percent interest in the joint venture Duvernay acreage and will remain the operator. The transaction is expected to close in November 2014. "We remain encouraged by the early results of our exploration program and view the Kaybob Duvernay as an exciting growth opportunity for the company," said Jeff Shellebarger, president of Chevron North America Exploration and Production Company. Chevron Canada has drilled 16 wells since beginning its exploration program, with initial well production rates of up to 7.5 million cubic feet of natural gas and 1,300 barrels of condensate per day. A pad drilling program recently commenced which is intended to further evaluate and optimize reservoir performance as well as reduce execution costs and cycle time. Established by its parent company KPC, KUFPEC is an international oil company, engaged in exploration, development and production of crude oil and natural gas outside Kuwait, active in Africa, Middle East, Asia, UK, Norway and Australia. KUFPEC participates in joint ventures with similar companies in E&P of Oil and Gas both as an operator and partner.